I was in the mood for berries and plummy shades for the winter, and I was still on the hunt for the perfect MLBB (My Lips But Better) shade. My mom made it happen! This is a bit too mauve-y to be my MLBB, but it does make for a soft, pretty lip. I’m like Goldilocks, this shade is a bit too pink to be my MLBB shade, but it will make a great pink to pair with my dark eye looks. Unfortunately, none work as a true MLBB shade for me, but they’re all still pretty nudes and look nice. 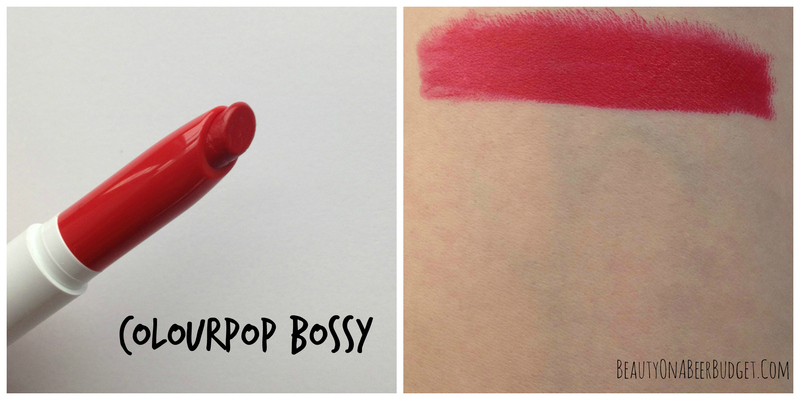 Bossy–Classic blue red in a matte finish. On my skin this leans more red-fuschia. It’s a cool, bright color though. 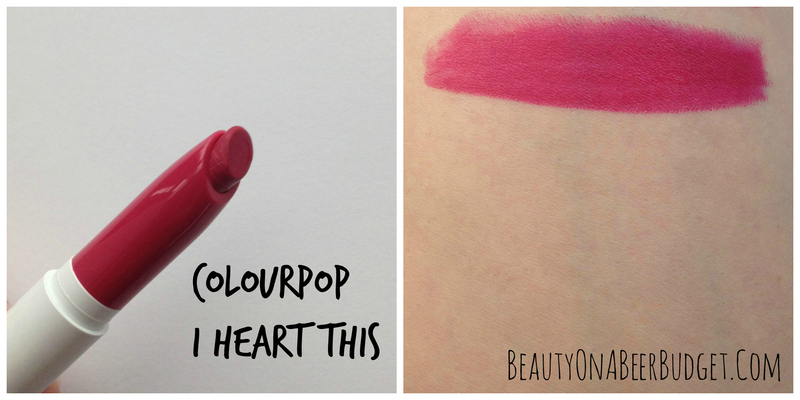 I Heart This-Red based fuchsia in a matte finish. This is an awesome deep pink fuchsia on me, it’s more of a summery color, but I like it. 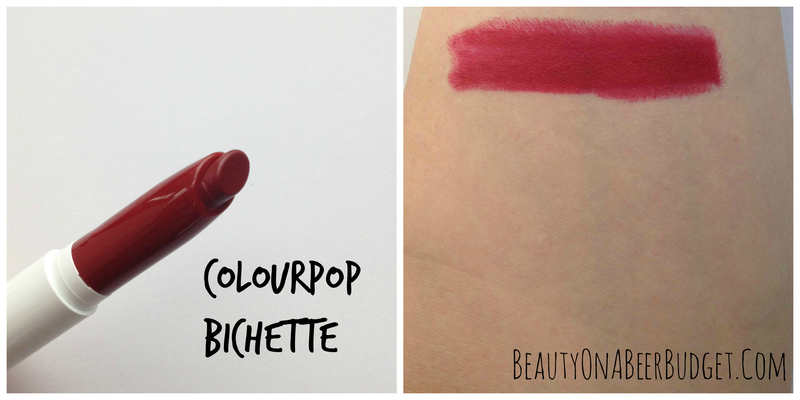 Bichette- Deep red wine in a matte finish. 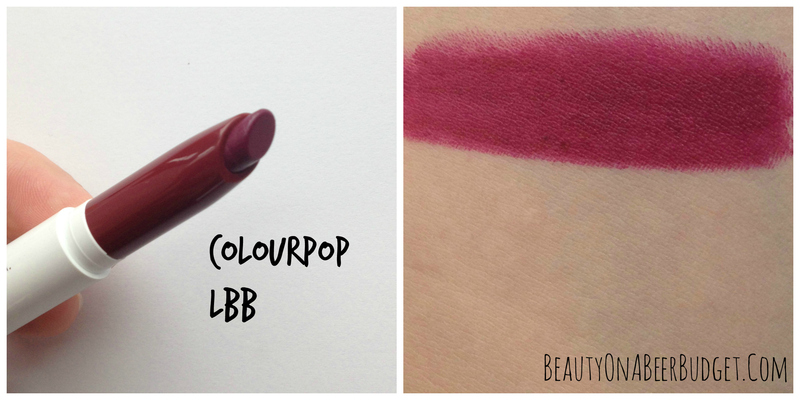 This is a gorgeous red-plum color and it makes a lovely dramatic lip that you can pair with a soft neutral eye. This is an absolutely perfect deep berry shade. You can see in the picture I had some issues with application, but we’ll talk about that in a minute. Love this color, though! 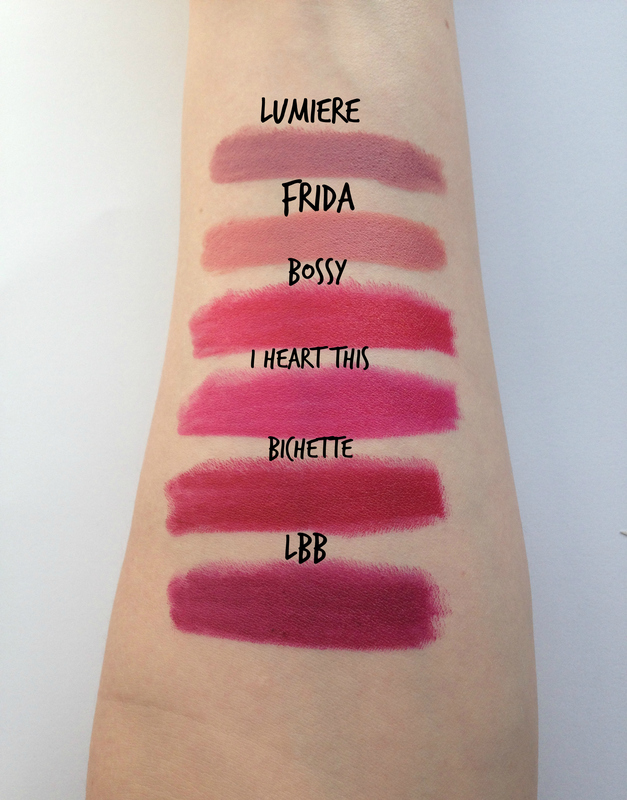 I love all the colors in this order, but I do want to break down some of the pros and cons I have with the Lippie Stix in general. Cons: I noticed this after using the Forget the Fruitcake set for awhile, but these do not apply that great for me, they are very sticky. That could be my dry lips this time of year, but I find they lack that creamy, smooth texture of my other favorite lipsticks. The Lippie Stix are also very unforgiving if you have dry lips, and will settle in lines, especially with the darker colors. I have to make sure I’ve exfoliated and moisturized before I use them. They also bleed a bit, which I know could be fixed if I bought the Lippie Pencils, but I’m lazy and expect my lipstick to work without a liner. 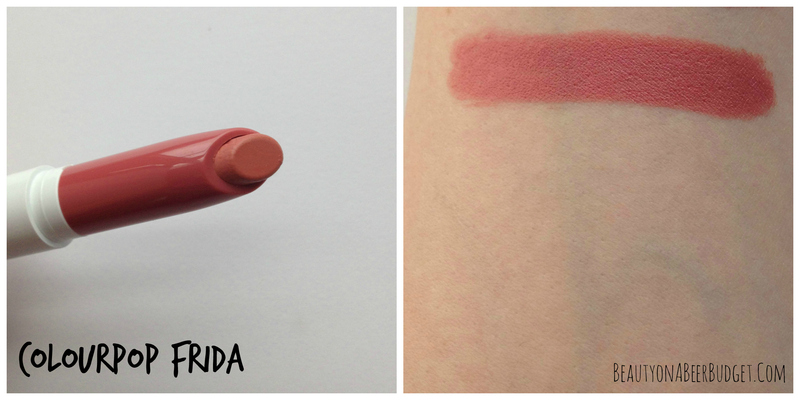 Overall, not my favorite texture or application for lip products, but…. Pros: The colors are lovely and pigmented. 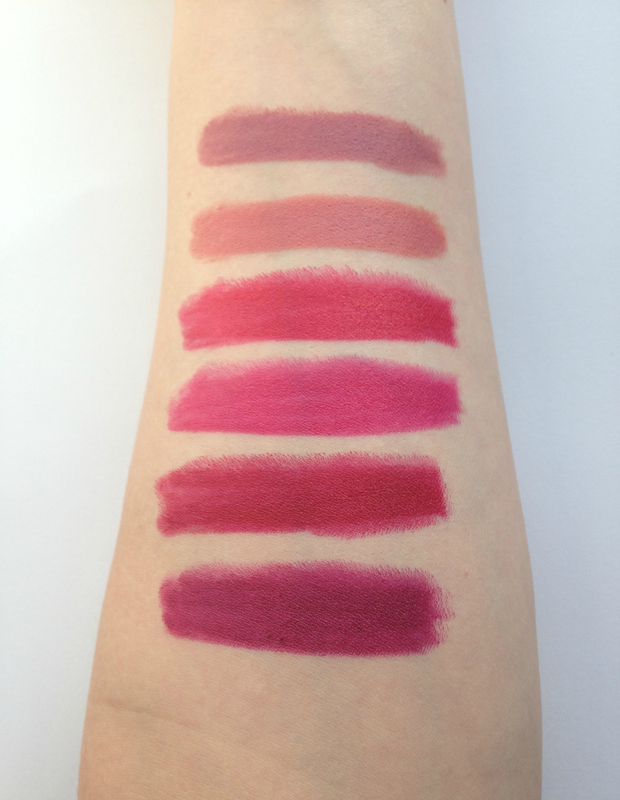 ColourPop has an amazing catalog of shades available and they are opaque with one to two swipes of product. 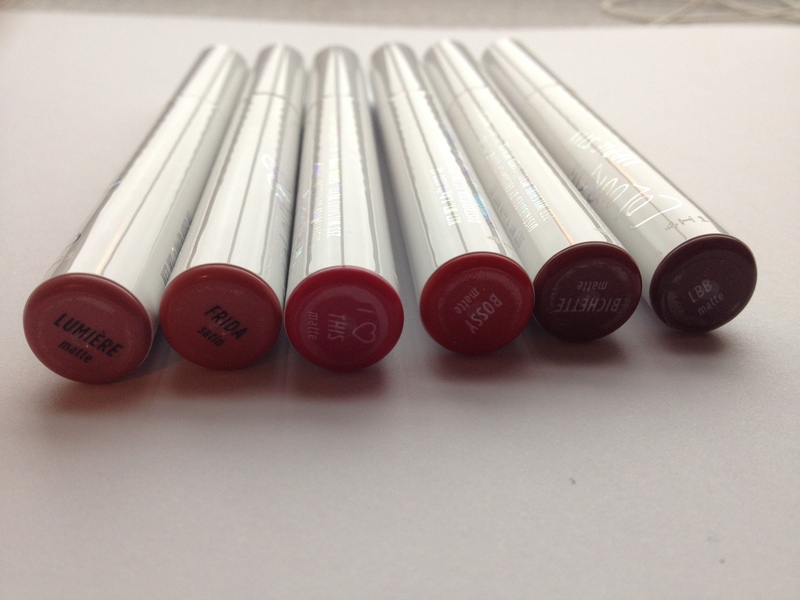 Despite being tricky for me to apply, the Lippie Stix are very lightweight and long lasting once I get them on. 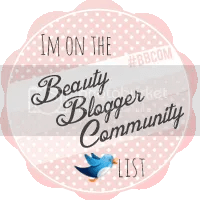 I can wear them while eating or drinking and they last about 4 hours on me before reapplying. And they are $5 bucks each. Which is a really great deal. 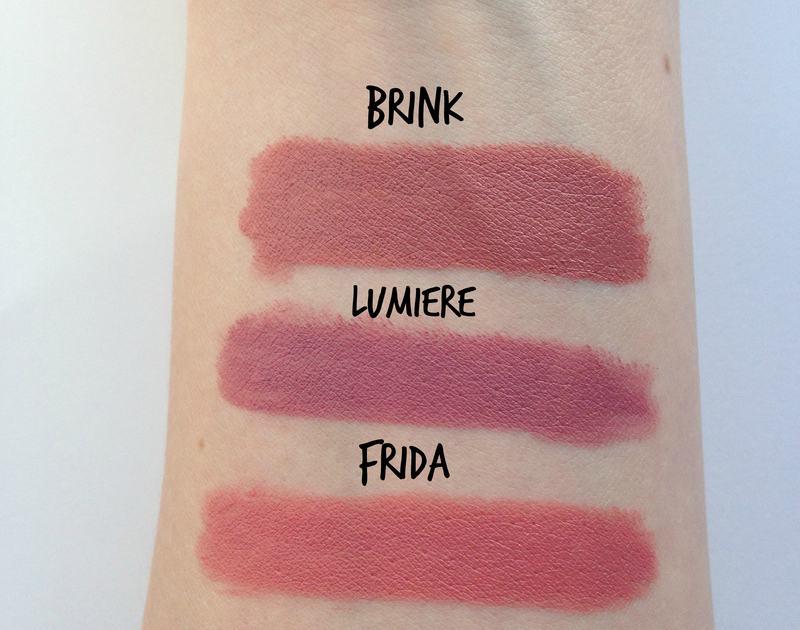 I still absolutely love ColourPop’s eye shadows, but I’m on the fence about purchasing more Lippie Stix. Well, at least until winter is over, and my lips aren’t so dry and angry about the formula. Some of their reds and corals look beautiful, so I’m not sure I’ll be able to resist an order for the spring. 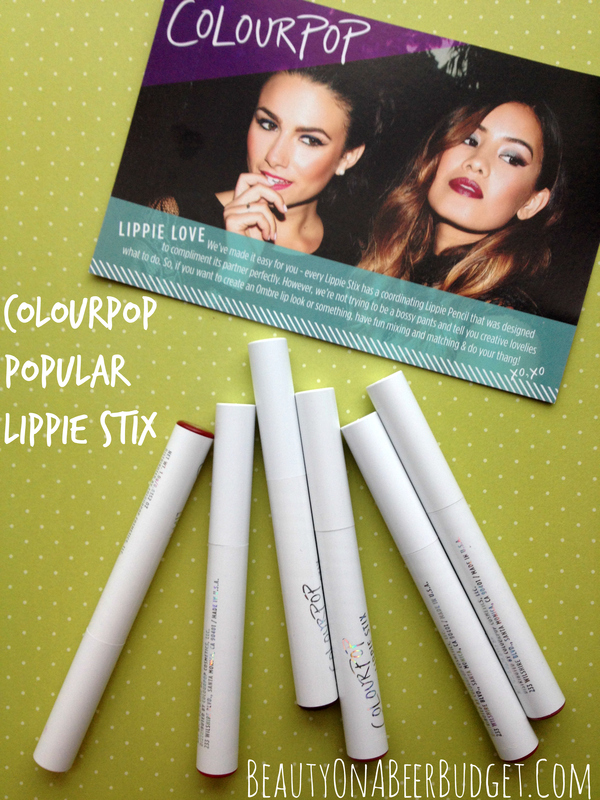 -What’s your experience with the ColourPop Lippie Stix? -Do you have any tips to help me apply them better? -My lips have never been this hateful before, any tips on caring for randomly dry and chapped lips? Brink looks perfect for work I totally agree! 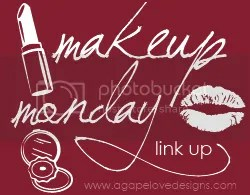 It’s a shame that they bleed, I hate applying lip-liner and therefore avoid products that require it. In your experience, is the bleeding noticeable with Brink since it’s so natural looking?? No, I only had bleeding with the darker shades like LBB and Bichette, and it was very faint. Not enough for me to get any lip liner, but just something I’ll remember to keep any eye on when I wear them. The lighter shades were wayyy easier to work with in general. I’m so glad you got to try these! We have so many of the same shades, too! I dislike LBB (how it goes on, not the color) but Bichette is my favorite red ever! 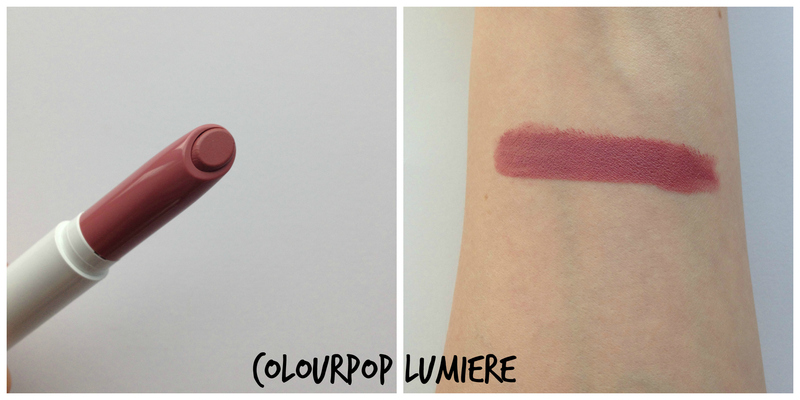 I’m tempted to buy Lumiere because it’s KathleenLights’s creation, but it’s also beautiful! For the dry lips, I recommend applying a thick layer of balm and then exfoliating, then applying ore balm immediately afterward. Ohh, I’ll try that, thanks for the tip! And Lumiere is very beautiful, I hope to wear it to work sometime this week! Great review! I just bought all of these. Thanks! I think you’ll be super happy with your new lippies!